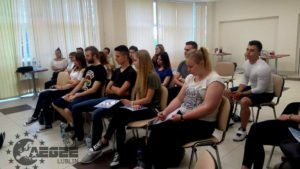 Last May, AEGEE-Lublin organised the Aktywator project (Youth Employment Focus Area) and First Aid training (Civic Education Focus Area). For this reason, they were chosen as an ACTive Local of the Month. We spoke with Martyna Jarosz – Advisory Board, Honorary Member and previous Secretary of AEGEE- Lublin, to find out more! 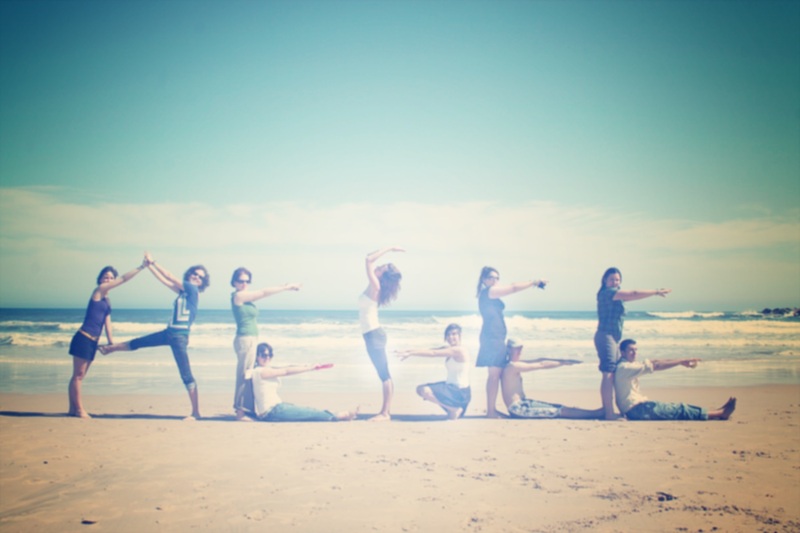 ACT: Which emotions did you have when you know that AEGEE-Lublin was chosen as ACTive local of May? Martyna: Thank you so much for the nomination! We still can’t believe it. We were very excited by knowing that AEGEE- Lublin was chosen for this designation. We’re pleased that our whole effort is noticed. This gives us even more motivation to act. Why did you decide to organise Aktywator project and First Aid training? 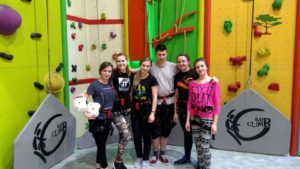 Aktywator project is a training event aimed at young residents of Lublin, whose main idea is motivation for various types of extracurricular activities and self-improvement. We decided to organise Aktywator project because it is already at its 10th edition. This project was held every year for several years, after which it had a three-year break. A year ago, it got another chance and was reinstated. We hope we succeeded! In addition, it is a good opportunity to promote our antenna in the community of Lublin. What was the result of your activities? The First Aid workshop was attended by 25 people. We heard only very good opinions in evaluation from the workshop participants. They liked the practical nature of the course, so I think our assumptions have been achieved. People learnt how important is First Aid thanks to this workshop. And most importantly – they can do it! 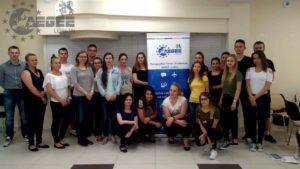 This year’s edition Aktywator project didn’t have a lot of participants, but the opinions about this project were very interesting and they want to participate in subsequent editions. Trainers received comments that they conducted very professional training. What’s more, we achieve new partners for cooperation, including a bakery, a cinema, a restaurant and a gym. In the organisers’ opinion both projects were one of the best decisions we made. And from the results we are proud of it! Our members have been informed about the Action Agenda and Strategic Plan during main meetings, Local Training Courses and the general meetings just before both Agorae. We constantly encourage all the members to explore all of AEGEE’s communication channels and we inform them about every local activity. 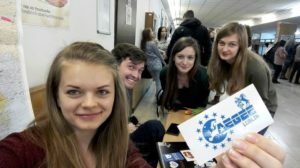 Furthermore, we talk about European events and inform new members about AEGEE-Europe. Recently, we organised a few Action Agenda activities, such as self-presentation workshops, workshops on how to effectively train, First Aid training etc. We love to talk about it during our weekly meetings. We strongly want to encourage everyone in Lublin to participate in Network Meetings, Agorae or European Planning Meetings, where you can learn more about the Action Agenda or Strategic Plan. In addition to this, you can meet amazing people with whom we develop exciting relationships and make an exchange of experiences which help us grow even further. I see that this year our members are even more interested in active activities, they have a lot of innovative ideas. I hope we will surprise you again soon! The Action Agenda and Strategic Plan help us to build a better Europe, because they set out an action plan. These activities motivate members to actively engage in projects for common success and development. A Strategic Plan shouldn’t be understood as a restriction or an obstacle. We should all use it, since it is a help for us to work effectively. It’s our inspiration for our ideas to be realised. Every action is beneficial, even the smallest, because it will always leave its sign and will be an inspiration to others. In addition, thanks to the Action Agenda and the Strategic Plan, we can be described as a stronger local, we have goals and we set the course of action. The key is to take action -capital A! Most people do nothing because they are afraid of the problems or challenges that they will face or they are just lazy to do anything. But the way to organise activity is to make one decision. This decision is to ACT! The most important thing is to move on from one place to another without thinking about this as another obstacle to overcome. Then it’s just getting better and better!!! You should also cooperate according to your plan, which will help you not to get lost during the organisation of a project. We should be open to help others, work with them, listen to ideas, activate and motivate them. This makes work more easier and enjoyable. Remember! In organising activities, it’s not about being successful but even about getting the satisfaction of what you do, having pleasure and get to know fascinating people. AEGEE- Lublin was founded in 1993, so this year we celebrated our 24th birthday. Every week we try to spend time together, both preparing projects and having fun. For us every new member is a new idea. However, every new idea can turn into a fascinating project. We get to know each other better organising such projects, and this creates a great atmosphere between us and generates a lot of positive energy. We learn from each other’s experience and work. That’s what AEGEE- Lublin is all about. We currently have about 15 very active members. That doesn’t stop us from doing brilliant things. We create this small Polish Antenna, but we have a lot of passion to work and new ideas to involve. We try to participate to events like Network Meetings and Agorae. The projects that we implement are based on the needs of our members and their ideas. We have a few events which have a continuation. We will not let them die. In May we prepare the Aktywator. This is one more edition of the training project – a few days of practice, workshops and training. Moreover, we want to repeat the First Aid training. In a small but well-integrated TEAM there is power to work! That’s us! We’re the local of inspiration. Just like Lublin has a motto – the city of inspiration. You don’t feel it, unless you come to us. Written by Elena Efremova, behalf of the Action Agenda Coordination Committee.